Who needs eight maids a-milking when you could read fantastic books instead? Okay, sorry, corny joke, but I did pick twelve Christmas books in honor of that song. 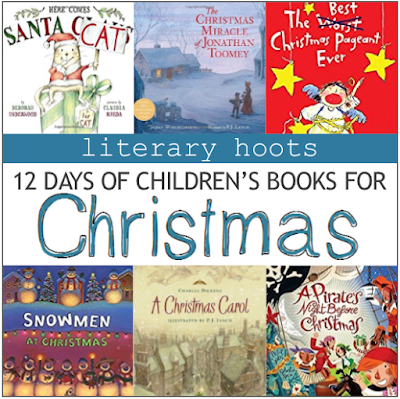 You could give a kid the 12 days of Christmas books! Or read a book the 12 days leading up to Christmas. Or do a cool display. Or anything else your heart desires. Ever wondered how snowmen celebrate? After everyone's asleep, they have their own big Christmas party, of course! Eating icy treats, they sing and dance, and eagerly await their snow gifts from snowman Kris Kringle. This book is written in wonderful rhyme, so it's perfect to read aloud. And then the pictures are so detailed and fun! Of course, I will also admit that it is written by a former teacher at my old elementary school, so I am especially biased...but still! So good. I sure love reading about the snowmen at Christmas. A classic, classic tale of two newlyweds, Della and Jim, sacrificing things the hold dear to give each other the perfect Christmas present. If you don't know this story, you live under a rock (go and read now!). If you know this story and you don't grab a tissue every time, you are not human. Okay, being a bit more serious... This story is such a great reminder of the love behind Christmas and gift-giving. And yes, O. Henry's story itself is over a century old, but I particularly recommend this book with Lynch's illustrations. You'll see more of him on my list because I think he does about some of the best art I've ever seen. Simply gorgeous. Cat is pretty sure he's not on Santa's nice list, so maybe if he does the Santa's job himself, he'll ensure he gets something! Or...realize how hard the job really is. Will Cat be able to do what's right? This is a pretty silly book that's good for a chuckle. Cat is a character that really jumps off the page with such great personality and interaction with the reader. While it doesn't quite lend itself for reading aloud (Cat doesn't speak, see, just mimes his awesomeness), it's a crowd-pleaser, for sure. Long, long ago, in a land far away, lived a perfect little tree named Small Pine. Small Pine hoped to maintain its perfect form and be selected by the Queen as her Christmas tree. But as the warm-hearted little tree gave shelter to birds, rabbits, and deer in the forest, its branches became damaged. Fortunately, the Queen had a different idea of perfection... Ah, another heartwarming tale that makes you appreciate the imperfections in life. 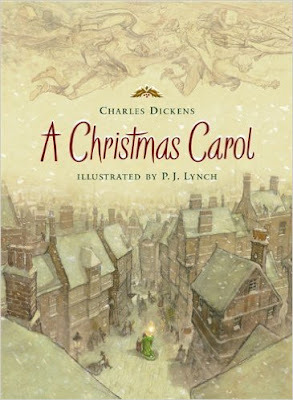 The illustrations, with their softness and beautiful details, add just the right amount of warmth to the story. Truly, a wonderful story that I look forward to every year. Bah, humbug! Another classic! Scrooge's holiday turnaround is a beloved tale. Now I do want to say one thing, I do recommend the complete, unabridged version, even for kids. Spend a couple of nights reading it together; everyone should get the chance to appreciate Dickens' original, inspirational work. Of course, it doesn't hurt to still have some illustrations to go along with it. I recommend Lynch again (I'm telling you, you'll keep seeing his name—love his work). But if you don't have a couple of days (I get it), or want a kid to read it on his/her own, there's this awesome picture book, or there's the young reader's edition, or (another favorite of mine) the board book! Give one or all of them a try. Sure, we all know Moore's classic poem, but what about the pirates' version? On their pirate ship, the mates have visions of treasure, not sugar plums, as they eagerly await a visit from Sir Peggedy (complete with his peg leg and hook arm) cracking his whip and driving eight giant seahorses: Salty, Scurvy, Sinbad, Mollie, Cutthroat, Cross-Eyes, Roger, and Jolly. This is a particular favorite of mine because my dad always reads it in his best pirate voice. Which, really, how could you not? The illustrations are super bright and colorful, sure to garner the appreciation of every child. It's a cute rendition of the classic poem. "Every Who down in Who-ville liked Christmas a lot . . . but the Grinch, who lived just north of Who-ville, did NOT!" This Dr. Seuss classic really goes without saying. But I'm saying it anyway. I mean, the Grinch's turnaround is almost as good as Scrooge's! So definitely, yes, enjoy this classic with the kids. It's Christmas Eve, and Amelia Bedelia has to get the Rogers' house ready for a visit from Aunt Myra. But of course, Amelia Bedelia takes Mrs. Rodgers' instructions, such as "trim the tree" and "stuff the stockings," quite literally, for some hilarious results. This was a definite childhood favorite—Amelia just gets me every time! But while there are some minor catastrophes, I still love the ending with this one and think there's plenty good-amidst-the-bad to appreciate. Man, I love it. A young boy, lying awake one Christmas Eve, is welcomed aboard a magical trip to the North Pole, to celebrate his belief in Christmas. All aboard! I will never not pour over, admire, and lovingly stroke these illustrations. 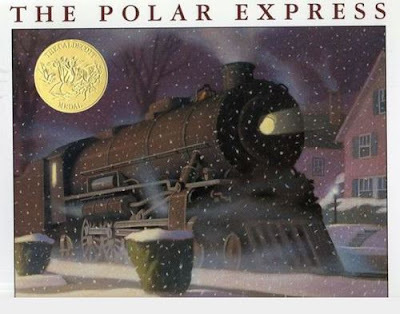 The train, the snow, the north pole...how could you not believe?? Caldecott all day, every day, man. Ahem...but even beyond the illustrations, it's a beautiful story about the magic of Christmas and the wonder of childhood. If this isn't already in your "classic Christmas" collection, then shame, shame. The Herdmans are the worst kids in the history of the world. They lie, steal, smoke cigars, swear, and hit little kids. So no one is prepared when this outlaw family invades church one Sunday and decides to take over the annual Christmas pageant. And no one is prepared for what may be the best Christmas pageant ever... Yes, a chapter book, so it's not a one-night read, but it's seriously my favorite. If you haven't experienced the awesome, hilarious, and totally heartwarming feelings that this book brings, then go a read now. Read it over a couple nights with the kids, or recommend it at the library. This annual read will definitely be a family favorite. Jonathan Toomey is the best woodcarver in the valley, but he that doesn't stop the local kids from calling the lonely, grumpy man, "Mr. Gloomy." No one knows about the mementos of his lost wife and child that he keeps in an unopened drawer. But one early winter’s day, a widow and her young son approach him with a gentle request that leads to a joyful miracle... I'm seriously tearing up just thinking about this book. Grab a box of tissues and experience this book with all the joy and feel-goods it deserves! 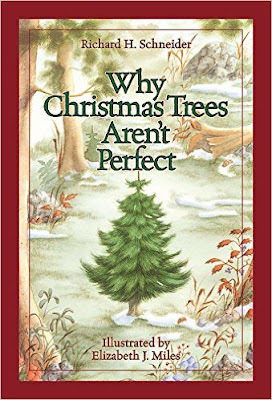 It is, by far, my favorite, favorite Christmas book. Not only is the story just about the most heartwarming thing on the planet, but the illustrations are stroking-each-lovely-page-admiringly gorgeous (Yep! P.J. Lynch again! I'd be annoyed that he doesn't have a Caldecott, but turns out, he's Irish, and did, in fact, get awarded the British equivalent for this book. So I'm satisfied). I love it, and so will you. How about you? What are your favorite holiday reads?